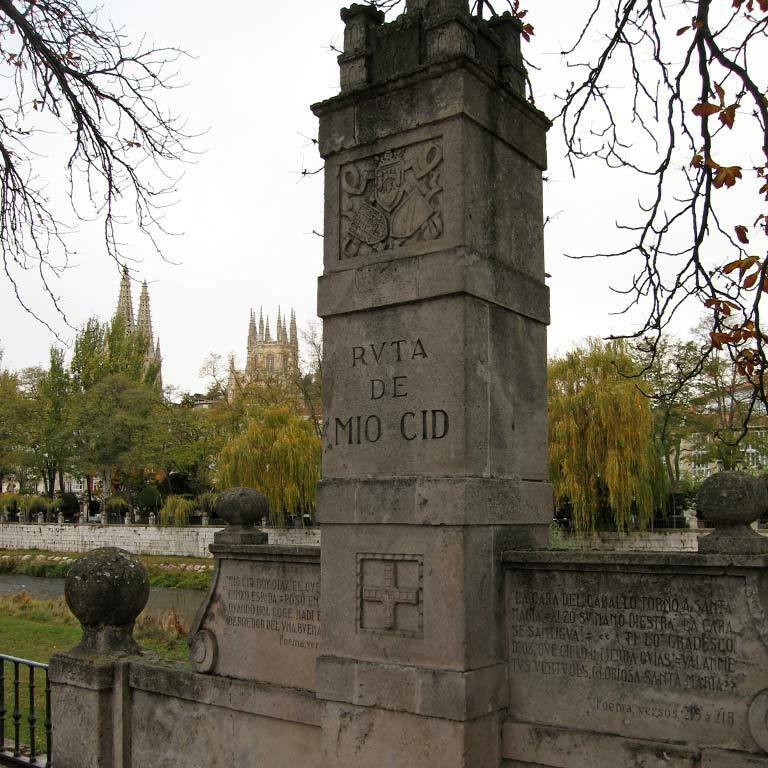 In El Cantar de Mío Cid, the poet is careful to explain that El Cid found a ghost town when entering Burgos after having been banished by King Alfonso. All houses were locked because the king’s awe-inspiring writ had preceded him. 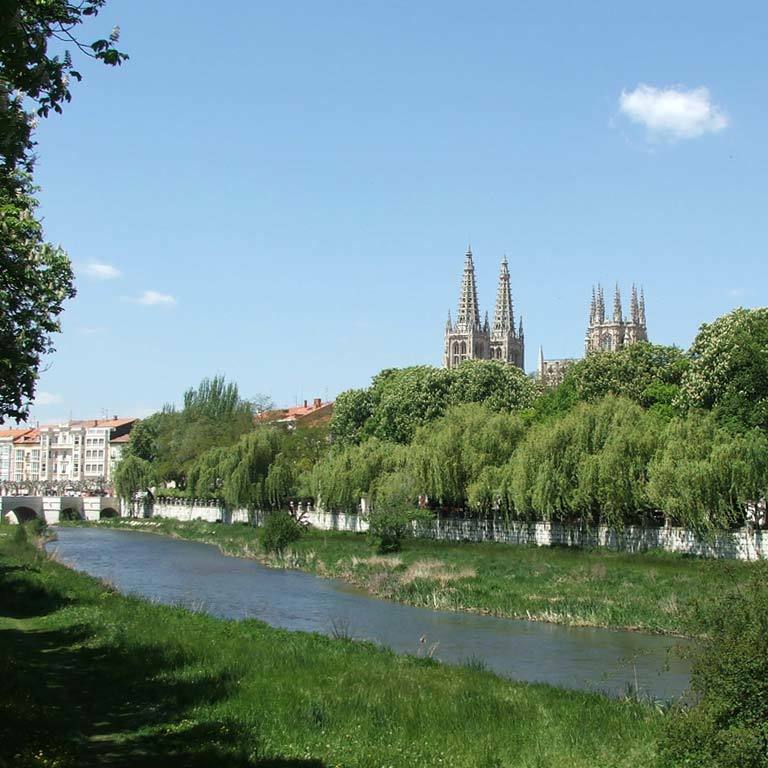 The king had sealed the city of Burgos, threatening anyone who ventured to lodge El Cid with confiscation of his property and loss “of the eyes of his face”. This is the reason why El Cid rides out of the city gate, crosses the river and camps on the left side of the river bank, in the glera, which is where the homeless and the leprous used to sleep in the 12th century. In sharp contrast to this negative connotation, the riverbanks of the river Arlanzón provide nowadays a lovely setting for walking along the riverside trail all year round.